The Commodore’s Cup is a national 3 boat team event that started in 1992 as the Corinthian version of the Admirals Cup. In its early years it attracted teams from all over the world but in recent years teams from Northern Europe have contested a regatta that has a strong mix of inshore and offshore racing. The fact that it has continued for 13 editions spanning 26 years and thrived whilst all other international team events have died is testament to its highly Corinthian ethos. Started in 1992, the Commodores’ Cup was the brainchild of Commodore John Dare. It was to be an international team event run to promote the then newly created rating system, IMS, in the style of the Ton-Cup. It would be a blend of inshore and offshore races and was initially envisaged as a low-key Corinthian event as a deliberate contrast to the Admiral’s Cup. As it gained in popularity, stipulations regarding the number of professional crew were introduced to retain this spirit of the event. 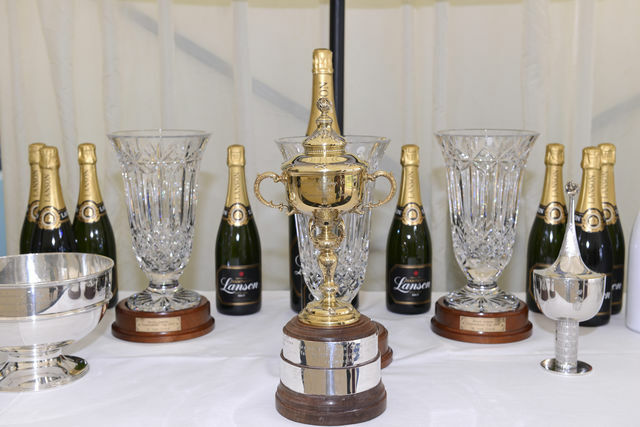 Unusually for an unproven event, the Commodores’ Cup enjoyed a headline sponsor from the off in the form of Rolex; Rolex would continue to sponsor the event for 18 years. Teams of three boats in three different size bands were invited to race from the constituent parts of Great Britain as well as from around the world; only foreign countries were allowed to have two teams. 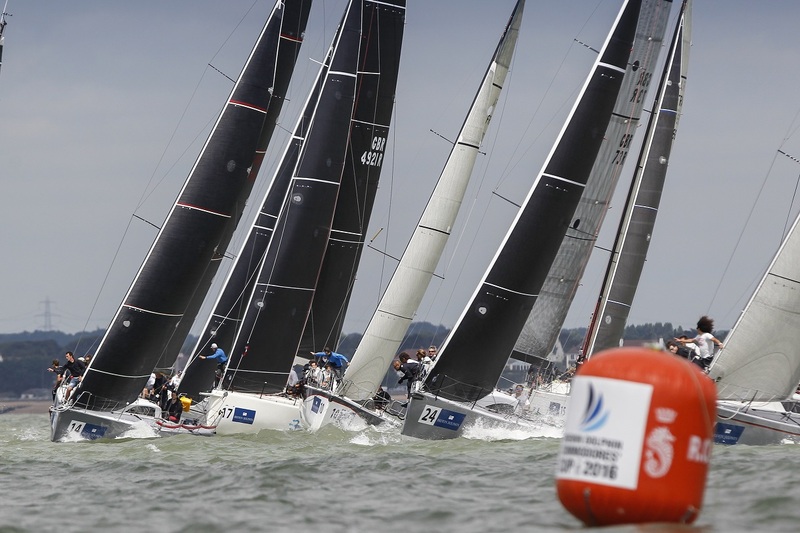 12 teams arrived in Cowes, representing the USA, England, Argentina, Jersey, The Netherlands, Hong Kong, Scotland, Wales, France and Finland. Some 36 boats brough 400 participating sailors. Despite teething problems with the rating system and results computing that saw some competitors label the event the Comedy Cup, the event, won by the USA, was an undeniable critical success. After its successful first outing, the Rolex Commodores’ Cup continued in 1994 with another strong showing of teams along the same broad guidelines. The mix of national teams included a team each from England, Wales and the Channel Islands, two from Germany, two from America and one each from The Netherlands and Argentina to make nine. Already there was talk of the creeping professional crew lining up to take part in the event sparking talk of 'David vs Goliath', despite its Corinthian intentions; after all, double gold medallist Jochen Schumann, Bouwe Bekking and Ken Read were crewing on various teams. The USA again took the win while Britain was left frustrated again with a poor set of performances. In the wake of their past team performances, in 1996 the British team selection was transferred to the RYA after advisement by the British National Coach, Bill Edgerton. The British were now allowed to field two teams like their foreign counterparts and so it was that England Green (otherwise known as England South) gained their nation’s first win in the event with the small boat, Sunstone, also taking the best individual boat score. Nine teams took part in the 1998 event, all from Europe: two German teams, two from The Netherlands, two from England and one team each from Spain, Belgium and Scandinavia. Alongside the regular inshore/offshore races, the teams also took part in the Channel Race as the long offshore race of the event. At each race the German Red team pulled away further and further from the rest, countering the pre-race predictions that it was for the Dutch Green team to win. This would be the last Commodores’ Cup run under IMS as the RORC prepared to unveil IR2000, a two level rule of IRC for yachts at club level, and IRM for high level racing. The seven teams in 2000 were again almost entirely European save, for the first time, a Commonwealth team. A team from the Channel Islands, two from England, one each from Scotland and France were also joined by another combined team, this time from Europe. It was the Channel Islands which took the overall win by a crushing margin over England Blue. It had been a dramatic year with dismastings, protests and a range of conditions that meant that the team which stayed out of trouble reaped the benefits. There was a boost to the numbers of entrants in 2002 up to 11: two teams from France, two from England and two from Ireland were joined by one apiece from The Netherlands, Wales Spain, Belgium and the Commonwealth. Run under IRC rating for the first time, in 2002 it was the turn of the French, as France Red took the win over The Netherlands with a considerable margin. Ten teams assembled for the event in 2004, for the first time the teams were lodged by their national authorities and they were open to enter to more than two teams from each nation: Great Britain fielded four, France had two, and there was one each from Ireland, The Netherlands, Belgium and Europe. The teams were split by ratings into the three different classes. This time the competition was close throughout the event, Ireland leading throughout the week until slipping behind both the defending French team and the triumphant overall Great Britain Red. It seemed to be a repeat of 2004; once again previously leading Ireland had to relinquish a win, this time to France Blue. This time Ireland had brought three teams to the event, France had three while Great Britain fielded four again, of which one represented Scotland. Russia, The Netherlands and Belgium brought one team each which brought the team total to 13. Astonishingly France Blue, the overall winners, were fourth before the longer offshore race and had had a major distraction in the form of all three being disqualified from the coastal race before receiving redress to be reinstated. Their strong performance in the offshore tallied with consistent inshore results to ensure victory. Finally, in 2008, Great Britain Red pulled a win out of the hat in the event’s largest fleet ever of 15 teams. Four teams from Britain were joined by four from France, three from The Netherlands, two from Ireland and one each from Spain and Hong Kong. The only major change from previous years was a stricter interpretation of the professional/Corinthian element, narrowing the number of ‘pro’ sailors as delineated by ISAF Group 3 status to 4 per team rather than the traditional 15% of crew. In a slight change to the normal procedure, the Red team had self-selected, approaching the RYA with a fait accompli of their team of owners, crew and what preparation they were doing; two of their boats had been built with the event in mind. After several years of ‘also ran’ and entering as favourites without realising their ambitions, Ireland finally claimed the Commodores’ Cup. The team was made up of Anthony O’Leary’s Antix, David Dwyer’s Marinerscove.ie and Roxy 6. The event was particularly breezy and dramatic, putting the 10 teams through their paces. There was an increase this year in the international flavour of the event with the inclusion of an entry from South Africa, alongside entries from Great Britain, France, Ireland and Hong Kong; Hong Kong finished second. 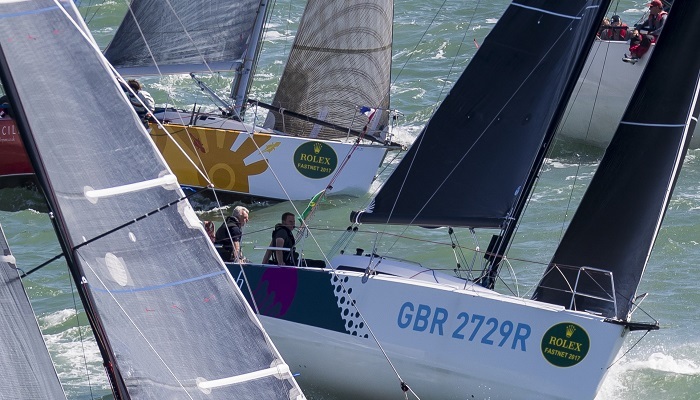 2010 marked the end of Rolex’s involvement with the Commodores’ Cup and in 2012 the RORC welcomed a new sponsor in the form of Brewin Dolphin. Small changes to the format continued with a new approach to rating bands, this time relaxing the three separate rating bands and instead stating a minimum rating for the smallest boat and a maximum for the fastest with only one boat allowed at the upper end of the rating. Despite the changes only 7 teams were entered, including four from Great Britain and one each from Benelux, France and Hong Kong. Great Britain Red came through to win overall with a substantial margin. 9 teams gathered for the 2014 event; three from Great Britain, four from France, one from Scotland and one from Ireland. After four years off, the Irish came back to win the event by an astonishing 180 points from France and leaving the top British team in 4th, a disappointment after the strong show in 2012. Ireland’s win was all the more remarkable after Antix, again a focal point of the team, sustained damage after hitting rocks on the penultimate day and requiring a lift out and all hands to fix her overnight before the final day’s racing. The 2016 event was the 13th in the series and there were more tweaks to the format: lowering the lower rating band to bring in a range of newly popular and well-rated boats such as the JPK 10.10, and reintroducing division starts for the lower rated boats. There was also a relaxation to the rules regarding professional crew, allowing an additional professional crew per boat. The winner of the event was, for the first time in 10 years, from across the Channel. The French Blue team made up of Teasing Machine, GOA and Cifraline 4, came forward after performing well in the offshores in particular to beat their fellow 7 teams. Teams this year included new combinations of a Celtic team and a team from Flanders North Sea, as well as three from France, two from Britain and, for the first time, one from Israel. You can view pictures from the 2010 edition onwards in the RORC online gallery.